On an overcast summer day in 1955, a plumber, a civil engineer, an attorney, a newspaper publisher, and two owners of large tracts of land gathered for lunch at Christie’s Restaurant in Chula Vista. They met to discuss how they could bring life-giving water to an arid region of southeastern San Diego County. By the end of the day they had a common vision, a few thousand dollars to spend, and the framework for what later became the Otay Water District. The Board of Directors of La Presa County Water District and Otay Municipal Water District dedicate their joint use facility in 1962. When compared to some local water agencies, Otay Water District is a youngster. During a relatively short time span, the availability of water has helped transform the District’s 125.5 square mile service area from mostly scrub and cactus-covered back country into a wonderful blend of diverse environments shared by people and nature. Today, the District serves the needs of its customers by purchasing imported water from the Metropolitan Water District of Southern California, the San Diego County Water Authority and the Helix Water District. Otay takes delivery of most of this water through several connections to large diameter pipelines owned and operated by the San Diego County Water Authority. Otay of today is the result of the merger of two small water districts: Otay Municipal Water District established in 1956, and the smaller La Presa County Water District. La Presa formed in 1957 to provide water service to the communities of La Presa and south Spring Valley. Since the two small water agencies shared a common service area, in 1962 they entered into a Joint Powers Agreement to make the best use of equipment, labor, management, and operations. The consolidation worked perfectly resulting in savings for water customers and the construction of a joint use facility. 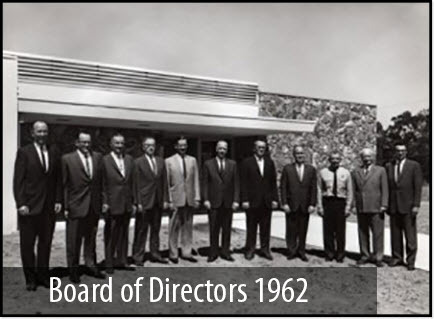 With the success of the combined operations, the two boards of directors voted unanimously to officially dissolve La Presa in 1969, with Otay Water District taking control of all of La Presa’s assets, debts, and resources. Otay Municipal Water District’s first headquarters in 1956. 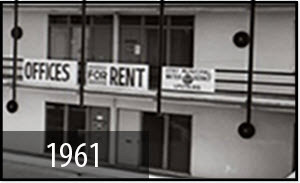 This small office on the left was located at 427 Third Avenue in Chula Vista, California. 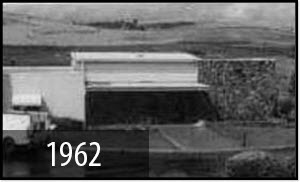 La Presa County Water District headquarters in 1957 was located near the intersection of Sweetwater Springs and Jamacha Blvd. 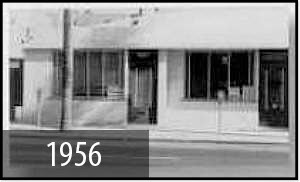 This building, which is no longer in existence, was located close to the District’s current administrative offices. Otay Municipal Water District moved into this second office in 1961. 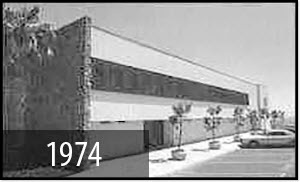 The slightly larger upstairs office was at 737 Third Avenue in Chula Vista. 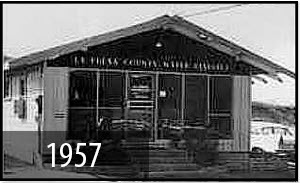 Since they both served portions of La Presa and Spring Valley, Otay Municipal Water District and La Presa County Water District joined together to establish this headquarters building, which was officially dedicated in 1962 (this photograph was taken in 1963). The office was later demolished as part of a building expansion. Now known as Otay Water District, following the merger with La Presa, this office served as the District’s headquarters after 1974. 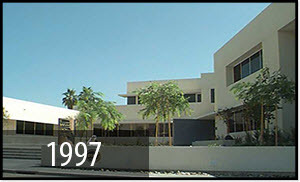 This office, located at the District’s present address, was remodeled in the late 1990s as part of the expansion of the administrative building. Otay’s current headquarters at 2554 Sweetwater Springs Blvd, Spring Valley, CA. The facility was dedicated in 1997. For Otay Water District, the future promises to be as eventful and interesting as its early years. Responsible resource planning, sound fiscal management, respect for the environment, and paying close attention to its customers’ needs will all be necessary to ensure Otay’s future looks as good as its history.